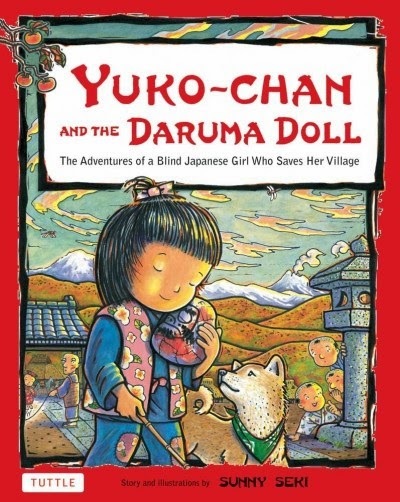 This is a charming story about a young girl called Yuko-Chan who is blind. She is largely ignored by her community and as much as she wants to join in and show them what she can do, she is judged by her gender. Her village though is in desperate need of a way to make money and it is Yuko-Chan who stumbles across her solution as she learns what it means to persevere herself. This book features both English and Hiragana (Japanese) text which really adds a special element to the book. I appreciate the element of perseverance and self-belief that this story encourages as it sets a positive role model for children. The connection to real-life and the Daruma dolls that are made in a little village in Japan also gives the story meaning. It is a long story compared to others aimed at this age group. This book has worked well for me in motivating students interested in learning the Japanese language. It is easy to understand and can be integrated into literacy and art lessons (we made our own with varying degrees of success but the journey was wonderful and resembled Yuko-Chan's own).